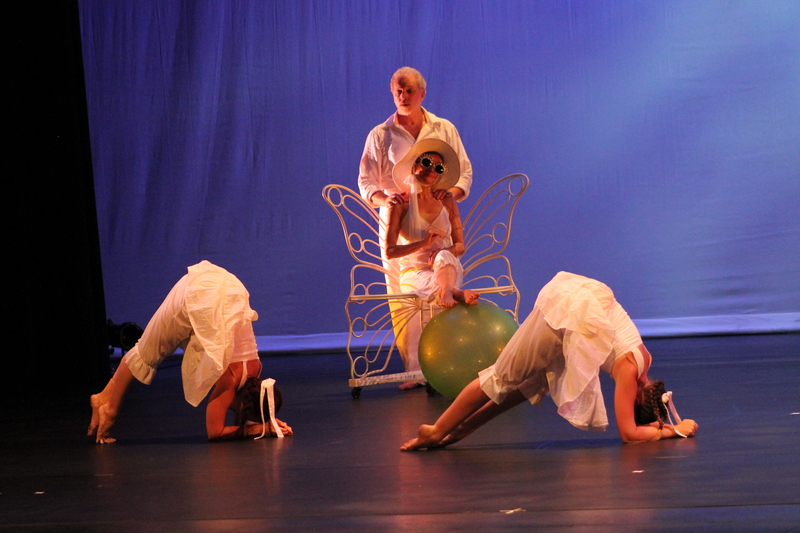 Dance in the Desert 2011 presented a wide variety of technical skill and concepts in its opening night offerings. The stand-outs of the evening included Las Vegas Contemporary Dance Theater, Nevada Repertory Dance Theater and Noel Julian-Anker. 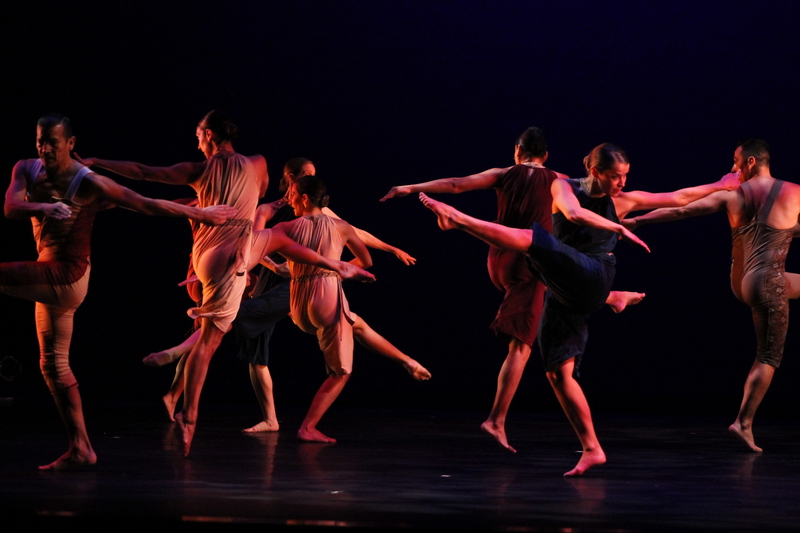 LVCDT ’s “Portraits”, in which each dancer portrayed a struggle with discrimination, featured the technical brilliance and fierce stage presence of Bernard Geddes and company. 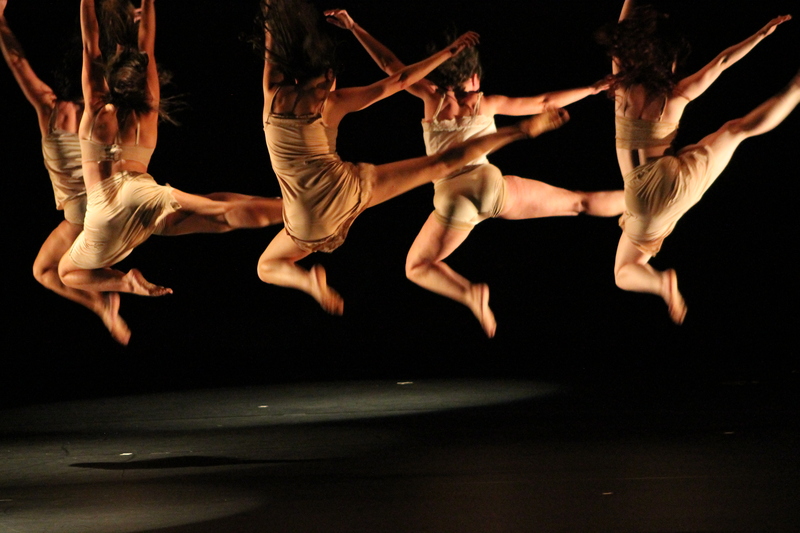 Each dancer was riveting in his/her solo, and the group sections were complex and interesting. Geddes, especially, embodied fundamental contrasts — his movement was graceful yet ferocious, grounded yet dynamic, flowing yet sharp, soft yet hard. Performers with this level of control, power and subtlety are simply stunning to watch. Las Vegas Contemporary Dance Theater's "Portraits"
NRDT’s “Moving Target” employed less developed dancers who, nevertheless, ably executed very intricate partnering and lifts. Of significant note was the feeling of suspension during the lifts, which gave a floating quality to the difficult physical work of partnering. Noel Julian-Anker, performing a solo choreographed by Festival Director Kelly Roth, was technically-accomplished and had an earthy presence with great extension and physical expression. 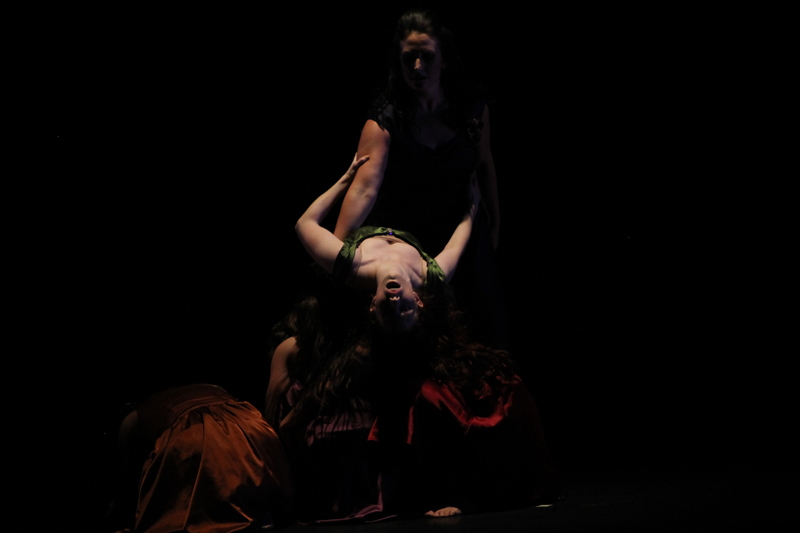 Her movements were controlled and precise, a satisfying piece that stayed in the mind’s eye after the lights went down. Dancers in other pieces demonstrated a wide range of stage presence and training: some had a lot, others did not. But they all took this performance opportunity seriously, and this reflected well on the festival. Costume design, an important element in a dance festival, also ranged widely from very pedestrian clothes to formal-wear to inventively-decorated unitards. Dance is a very visual art and audiences emotionally relate to the costumes as much as to the movement and music. 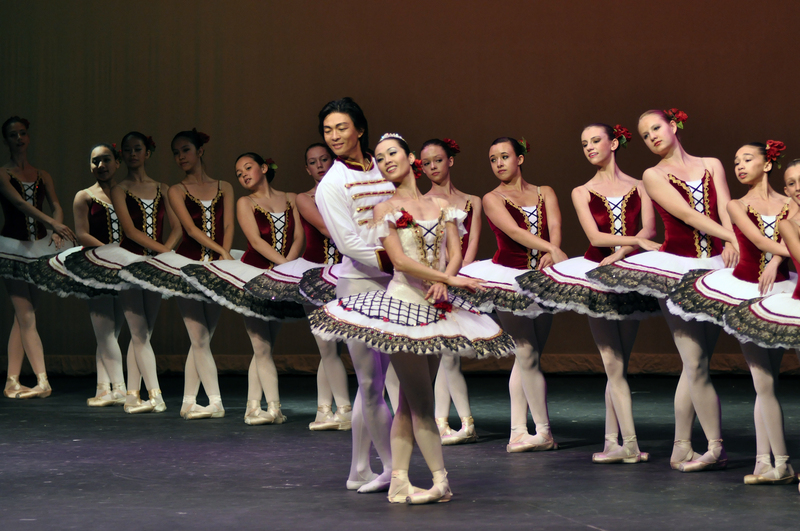 To the audience, the more unique, flattering, eye-catching and style-specific costumes are, the more enjoyable and memorable a piece is. There were a few costume faux-pas this evening. Lynn Needle’s dress in “Haunted” was too revealing during her inverted positions, which was distracting to the nature of the piece. The loose t-shirts and pants of Desert Dance Theater’s “Are We There Yet?” projected a dance-class impression, and seemed a neglected aspect of the piece. The green unitards in NRDT’s piece, while practical for lifts, would have flattered the dancers and the choreography better if they had been cut differently. Costume successes were evident, as well. Business suits used in Roth’s “Resident Disturbances” gave the piece visual structure, and the uniqueness of the red unitard in Ms. Julian-Anker’s number helped define the mysterious character. The formal-wear of “Portraits” reflected the historical significance of the characters, while the diaphanous dress worn by Ms. Needle emphasized her flowing movement. Canyon Movement Company’s “Unwanted” dancers sported red ribbons tightly wrapped around their necks, and corset-like ribbons on their well-fitted costumes, giving a feeling of restriction, imprisonment or tight control. This contributed to the story and character-development as much as the choreography. This first night of Dance in the Desert provided interesting and varied styles and was a welcome artistic addition to performing arts in Las Vegas. On a facilities note, special mention must go to the Nicholas J. Horn Theater. With a perfect stage size, great lighting and sound, low ticket prices, not a bad seat in the house, and excellent parking, it remains one of the premier performance venues in the valley. The lobby of Backstage Dance Studio reverberates with the laughter, chatter and sighs of exhausted but contented dancers, euphoric after stretching, jumping and twirling for 90 minutes. The group includes dance professionals of all ages, as well as newcomers to dance and to Las Vegas. Today’s class attendees include former dancers from Siegfried & Roy, Lido de Paris, Casino de Paris, Vive Les Girls, EFX, Spamalot, Mama Mia, Legends In Concert, Starlight Express, Rockettes, and Broadway Cabaret; current performers from Mystere, Love, and Zumanity ; former and current Jubilee! and Les Folies Bergere showgirls; professional ballroom dancers, college students, dance teachers, students from LV Academy for Arts, two first-time dance students and even a former professional dancer with his teenage dancer daughter. Age range: 12-82. All have been welcomed with open arms and a wide smile by the legendary and renowned instructor, Angelo Moio. Moio has taught hundreds of Sin City’s best dancers for the past 19 years, many of whom were already in shows or went on to perform in shows around the world, including on Broadway. Yet, he is also known as the ‘go-to’ instructor for dance beginners. Why? Because of his attention to technique and his compassionate teaching approach. 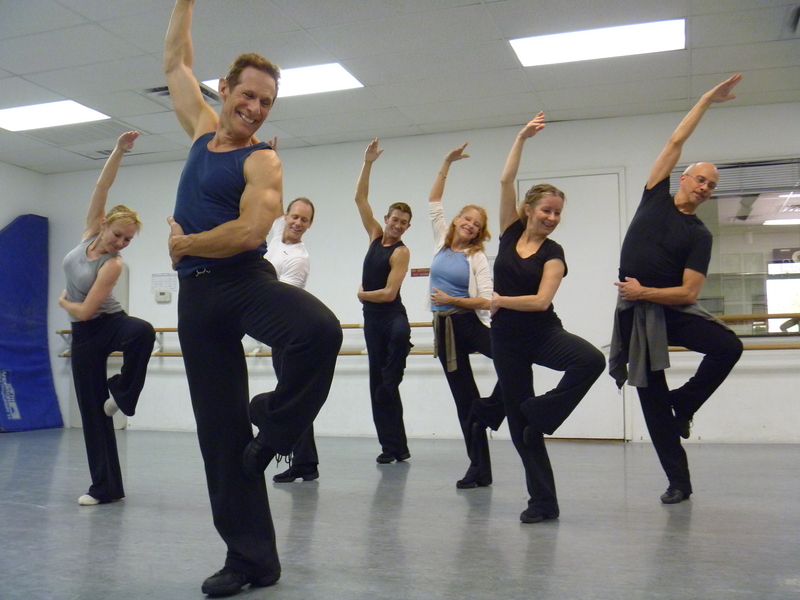 Terry Ritter, a former Les Folies Bergere dancer, has been studying dance at Backstage Dance Studio for 35 years. “My biggest inspiration has been Angelo, because I came back to dancing again later in life and it felt like I had a home to come to,” says Ritter. And varied styles it is – a different one each week. Lyrical, 40’s swing, Latin jazz, classic jazz, funk, world beat, musical theatre jazz, disco, 50’s jitterbug, 60’s style jazz, and blues. Last week was lyrical blues (to a Christina Aguilera song). The week before was Fosse. The week before was…well, nothing. No class, because Moio was out of town for a month guest-choreographing at the Musical Theater Conservatory, a summer program at UCLA . That’s right: after 32 years in the business, Moio is more in demand than ever for dance conventions, musicals and workshops. 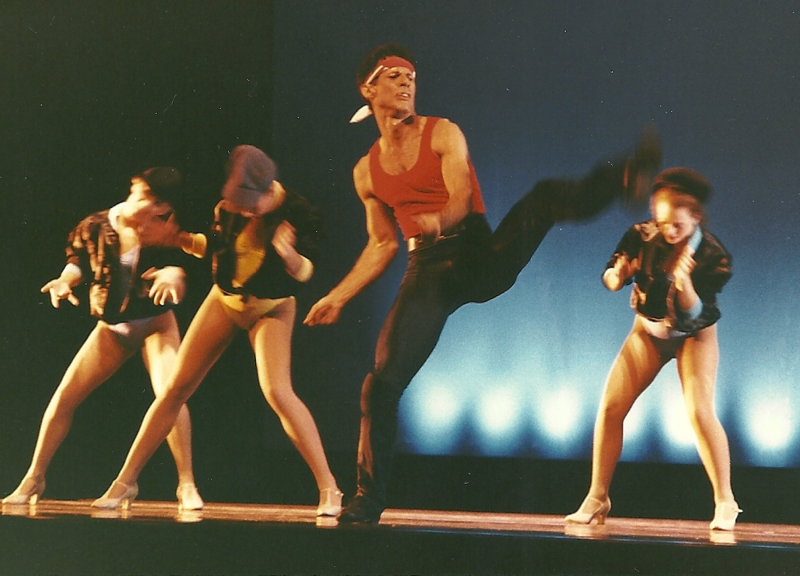 His thorough knowledge of musical theater, and his vast experience performing and choreographing everything from Fosse to cabaret shows, is sought by studios, theaters and conventions around the country. 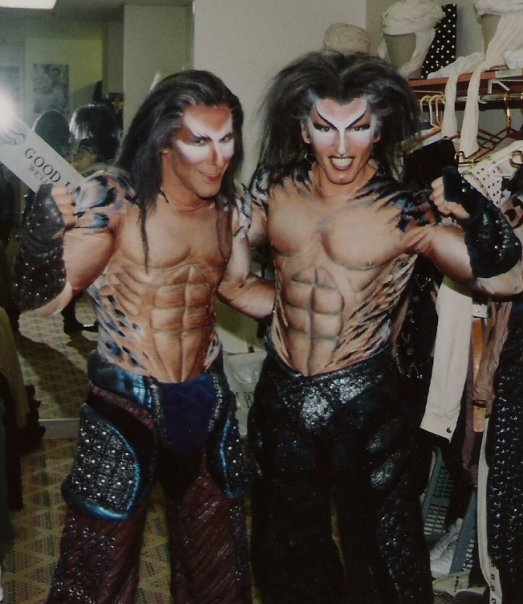 Angelo Moio and Mark Moschello in "Siegfried & Roy"
Not to worry, though — Moio prepares all of his students to audition and work on cruise lines, as well as other production shows. “I emphasize basic jazz technique and picking up combos [learning dance choreography] quickly, and that serves everyone well no matter where they want to perform,” he explains. In fact, students of Moio’s have gone on to dance in Las Vegas shows including Jubilee!, Les Folies Bergere, many Broadway shows in New York and on tour, as well as cruise ship shows. And when they are done performing, they come back to Moio’s class to stay in shape, reconnect with old friends, and keep the dance fire alive. Disclosure: This blogger has attended Moio’s dance class for 13 years, and seriously loves her some lyrical. 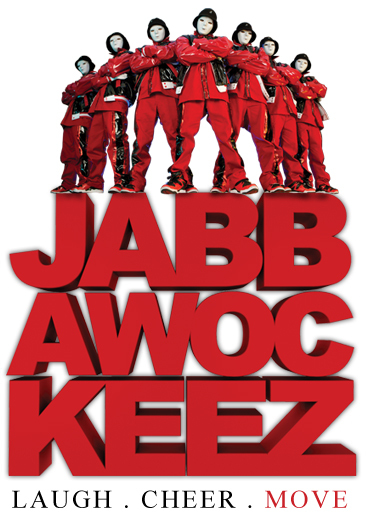 Jabbawockeez “Mus.I.C.”: Hip Hop Rocks! They’ve done it! Jabbawockeez have smashed the glass hip-hop ceiling and brought breakdancing, popping and locking to the legitimate stage. The dreams of the movie characters in Breakin’ and Beat Street — to show the world that hip hop is a true dance and art form – have finally been brought to reality through the perseverance and artistry of this dance crew from California (Turbo and Ozone, rejoice!). Jabbawockeez absolutely commands the stage with the precision, grace and explosiveness of their unique hip hop style. And – unexpectedly – comedy! The show was laced with unpredictable moments, and even skits, full of good-hearted humor. The most striking element of the show was the storytelling. Through mime, specific choreography and hand signals, the dancers communicated stories and messages that seemed all the more powerful because they did not involve spoken word. In fact, they had no qualms about letting the music go quiet and telling their stories in utter silence on stage. The Jabbawockeez were masters of physical acting and imitation. The concept of the show, to “find the muse that inspires you” was a wholesome, universal theme. The different facets of the show, from the sets to the framework of each number to the transitions and the stories told, were sophisticated and absorbing. Directors Napoleon and Tabitha D’umo have done a solid job of creating a compelling and entertaining experience. 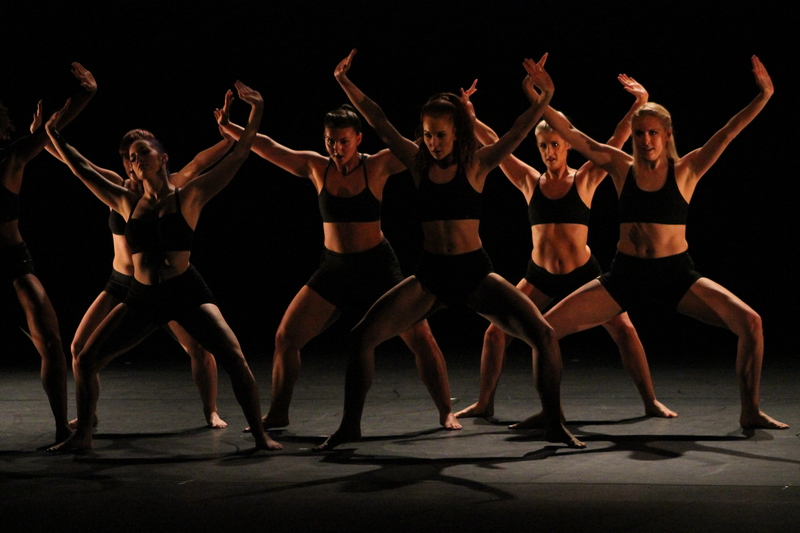 The choreography was constantly in flux, changing in style and tempo, reflecting and interweaving with the music. This was another strong point about the performance – the choreography was a remarkable visualization of the music. Each gesture fit the musical style and accented musical moments. Each number was unique – no monotony to be found, anywhere. The group’s dance style is “Beat Kune Do”, or hip hop freestyle, alluding to Bruce Lee’s eclectic martial arts “style of no style” Jeet Kune Do. It is a feast for the eyes, and offers an ever-changing mixture of break dancing, uprocking, popping, locking, martial arts, parkour, acrobatics, jazz dance and mime. Some call it “lyrical hip hop”. The show was punctuated by unique touches, such as dancers being dragged off the stage by their feet, a hip hop rendition of the most popular movie musical in history, and a tribute to Leonardo da Vinci (no specific details will be revealed here, as the unpredictability of the show is part of its genius). The soundtrack by The Bangerz, a medley of hip hop, rap, rock and pop from George Kranz to Beyonce, pumped up the excitement while helping to communicate the stories. The masks? Most people would assume that masks would hide emotion and make the dancers seem like cold, distant characters. But the Jabbawockeez are so accomplished in body language that the masks became clean canvases upon which they projected many emotions. More than once, the audience was convinced that certain masks had smiled, or frowned, or pursed their lips. The emotional conveyance was amplified by the masks, not hidden – an amazing feat, and proof of their astonishing command of bodily expression. Jabbawockeez in different costumes from "Mus.I.C." Dancers and dance groups have historically been anonymous, lacking fans, tours, big contracts or recognition. Celebrity that is so quickly accorded to vocalists has been denied to dancers, especially hip hop and street dancers. Appreciation and fame is rightly deserved by the Jabbawockeez. They are as talented, artistically expressive and technically brilliant as the best dancers (and singers) of any other style in the world. Jabbawockeez achieves the wish of generations of street-dancers: to perform in a professional setting that spotlights hip hop’s power, diversity and evocativeness. They not only bring the street style and culture of hip hop to the big stage, they elevate it to an entertainment tour de force unparalleled in any other show in this country. Jabbawockeez Mus.I.C is innovative and riveting on every level. There is no show like this. Anywhere.